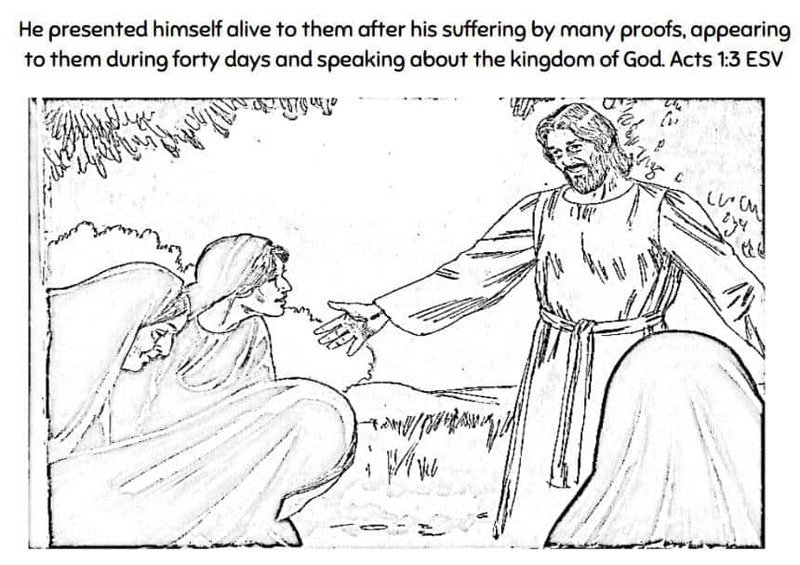 This free coloring page shows Jesus presenting himself to Mary after his resurrection. It was created to accompany our Bible lesson about the same events. To download, click on the preview image above or select your preferred caption translation below. You can also copy, view, or edit these files on Google drive. Leave us a comment to request another language. Tony Kummer (Editor) reviewed & updated this page on : May 2, 2014 at 10:21 am. All our content is peer reviewed by our readers, simply leave a comment on any post suggest an update.